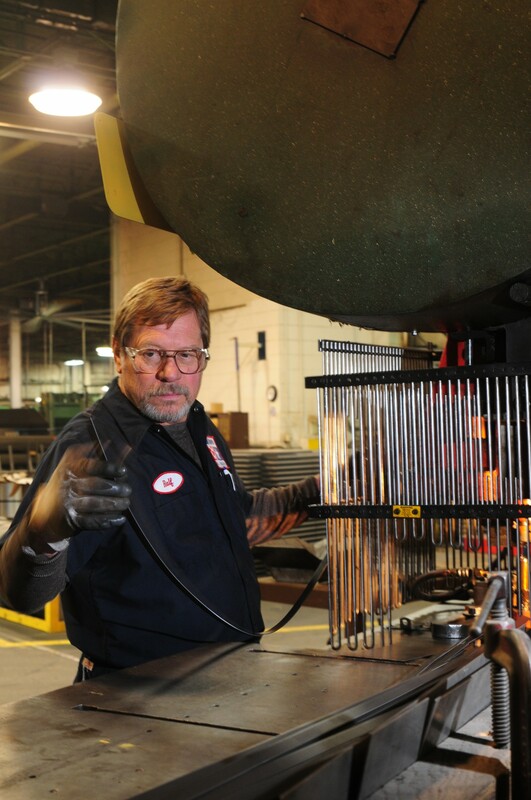 DeBourgh has a history of superior manufacturing processes. We use angle iron, cold rolled steel, sheet steel and expanded metal to create the best standard and custom-built lockers on the market. But that's not all. Our record for on-time delivery and customer satisfaction means you'll also get the best service to go with your products. In addition to advanced manufacturing facilities, DeBourgh has a full service engineering department with both CAD and CAM capabilities to help with all your design needs. Our engineering and drafting specialists are well versed in finding solutions that fit any budget. We can answer design questions and provide insight to ensure you get the best solutions for your project budget. In addition, we are up-to-date with 21st century manufacturing processes and utilize concepts drawn from Lean Manufacturing, TQM and Cellular Manufacturing to maximize production efficiency.